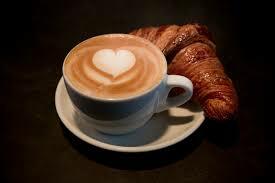 The thorny issue of drinking a Cappuccino! 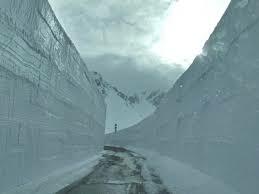 When you arrive in Italy this is an issue to consider seriously. Firstly there are very few of your ‘favourite’ coffee haunts; you are unlikely to find the regular high street coffee bars found, for instance, in the UK. A bar in Italy is a community facility used by every Italian, so listen up and think about the ‘regulations’. Do not expect a Cappuccino with the extras of straws, cream, cocoa, chocolate chips, strawberries or whatever…..they do not exist. A Cappuccino will only cost you 1.20 from the bar (most bars do not have waiter service and based and our experience from long ago taking a seat and waiting for one is fruitless); collect from the bar and take a seat. In some tourist areas of Lucca and Florence they will charge you for taking a seat, but it is not usual anywhere else. Do as the Italians do if you wish and just drink it at the bar, take your pastry in a paper knapkin and dip it in the froth if you wish. Remember a cappuccino is a breakfast drink here, so Italians do not take one after 11 am. Indeed the drinking of milk in any form is considered bad for the digestion after lunchtime..uhm! Other coffee varieties are simple and few, an espresso (anytime of the day), an americano (a large coffee with milk), a macchiato (an espresso with a small amount of steamed milk) taken up to lunch and that is about it, it is cheap, functional, simple and a pleasurable ritual….join in! 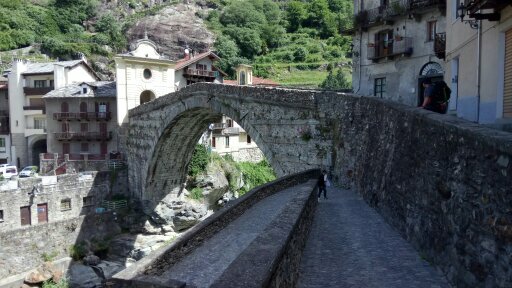 Meanwhile the next stage of our Via Francigena walk continued in the spectacular Valle d’Aosta and the Italian Alps, from Great St.Bernard’s Pass to Ivrea. 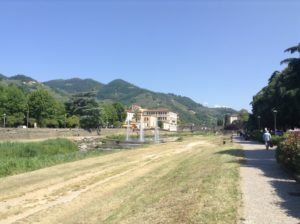 This was an exacting stage of our walk to Rome but also one of great and varied scenery albeit that the back drop was always the snow topped mountains with the stunning and rugged alpine villages that we walked through on the way down to the Piedmonte valley near Turin. 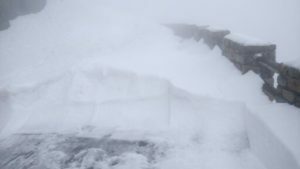 Scaling the final part of the mountain up to St. Bernard’s Pass (the road was still closed for the winter and we could not begin the walk from the top), we were met by an 8 metre wall of snow at the Pass in misty freezing temperatures 500 metres from the Italian border. We then began our decent and spent the last few days climbing steep hillsides in 30 degree heat with a 10 kilo pack…what wonderful madness; exacting but rewarding. 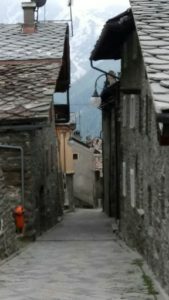 We walked through many of the steep terraced vineyards that line the Aosta valley as it descends from Aosta itself, fountains in small quiet squares ensured a plentiful supply of water for the thirsty journey. Window boxes full of spring flowers added to the colour of the journey, goats and cows with bells around their necks providing the soundscape to our footsteps on this ancient road. 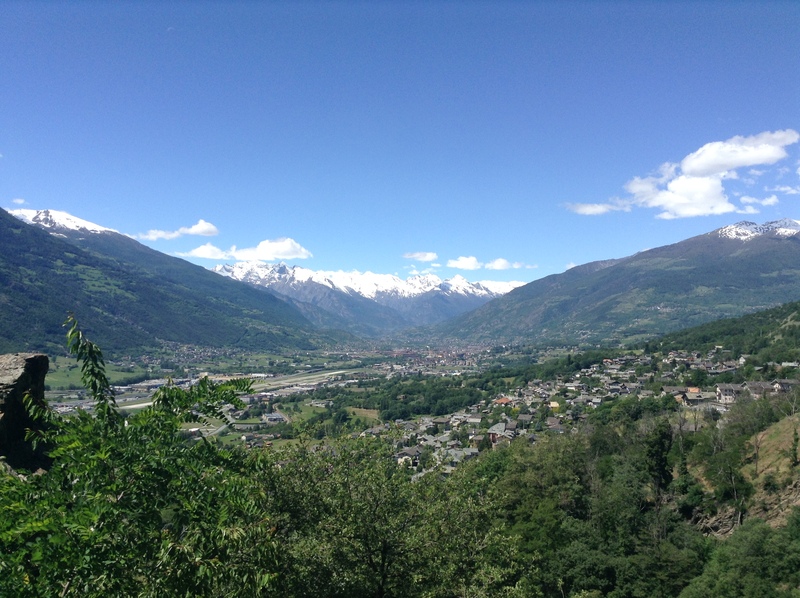 The central point of the valley is the old Roman staging post of Aosta with a number of Roman remains still demonstrating the importance of the town at the point where three alpine passes descend into the valley. 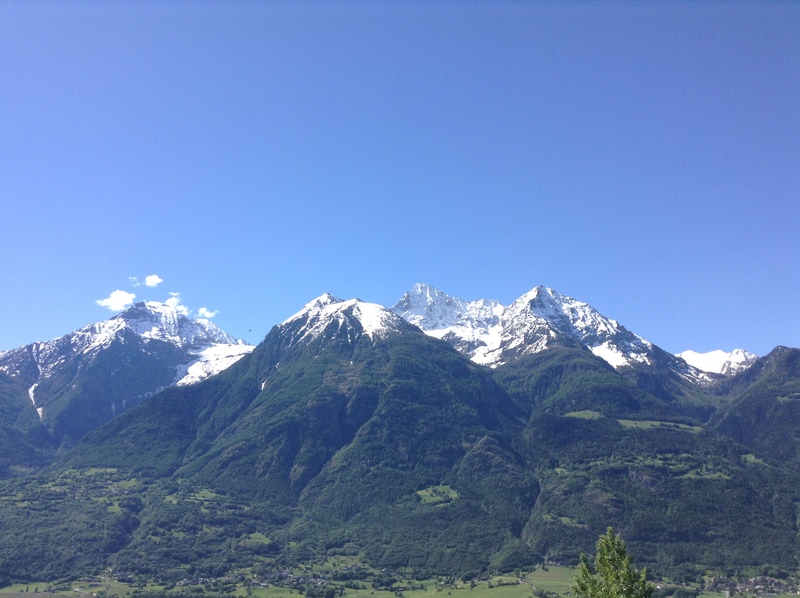 The town is often by-passed by travellers on the motorway down form Mont Blanc, but is definitely a town worth visiting. Along the valley there are also numerous romantic-looking castles and forts that guard and protect the entrance to the Italian peninsula. 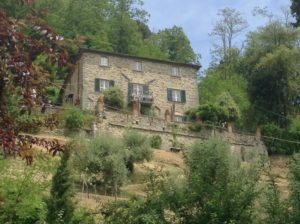 Meanwhile back in the Village in Tuscany and the lovely hills of the Pesciatina Svizzeria the weather is hotter and drier than usual for early summer but we have still enjoyed the perfumes of the plants at this time year, the jasmine and the lilies in particular. The villages and hills already seem quieter and sleepier as the terraces change from green to light brown and the cutting, strimming of grass and vegetation begins to decrease. 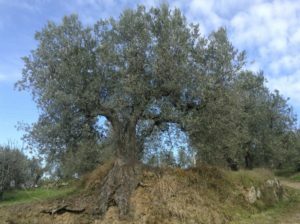 The lovely nearby villages are wonderful for an early morning stroll in the incredible light of the rising day, among the olive groves and narrow streets before we pause and take in our pastry and cappuccino at the civilised hour of 10 am precisely. Olives a concern as they may drop their olives if the dry weather continues! The River Pescia Running Low! 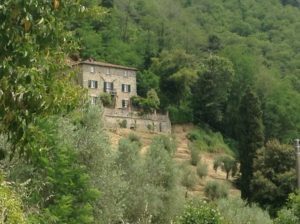 CASA VERDE Holiday Home & B&B near Lucca, Tuscany, Italy.